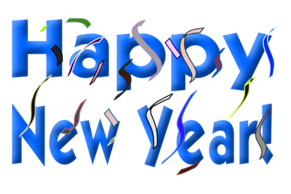 From all of us at the Maine Immunization Program, we would like to extend warm wishes for a happy and vaccine-preventable disease-free year! Complete any necessary required training after February 1 to ensure that you are completing the most up-to-date training. What is the Difference Between the Two Meningococcal Vaccines? All 11- to12- year- olds should be vaccinated with a meningococcal conjugate vaccine. 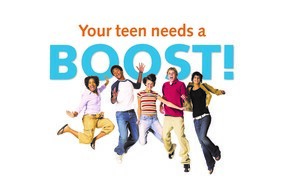 A booster dose is recommended at age 16 years. Teens and young adults (16- through 23- year- olds) also may be vaccinated with a serogroup B meningococcal vaccine. Are part of a population identified to be at increased risk because of a serogroup B meningococcal disease outbreak. Q: A 4-year-old's vaccine records show that she had 4 IPVs, given at 2m, 4m, 6m, and age 2. Should she have a booster dose? A: Yes. In June, 2009, ACIP updated its recommendations to clarify that an additional dose must be given at age 4-6 years, even if the child previously received 4 doses (either as IPV or as part of a combination vaccine containing IPV). Q: I need to know how to catch-up a child who is 12- years- old and received 1 dose of DTaP vaccine at age 2 years and 1 dose of Tdap at age 11 years. A: This child needs to complete the primary series with 1 dose of Td, administered no earlier than 6 months after the Tdap dose given at age 11 years. After that, the child needs a booster dose of Td every 10 years. An easy way to determine how to catch up a child is to consult "Recommended Immunization Schedules for Persons Aged 0 Through 18 Years, U.S." The schedule is approved by the U.S. CDC, AAP, and AAFP and is released early in each calendar year. It includes a catch-up schedule for children who have fallen behind (see www.cdc.gov/vaccines/ schedules/index.html). Q: Can I give a tuberculin skin test (TST) on the same day as a dose of MMR vaccine? A: A TST can be applied before or on the same day that MMR vaccine is given. However, if MMR vaccine is given on the previous day or earlier, the TST should be delayed for at least 28 days. Live measles vaccine given prior to the application of a TST can reduce the reactivity of the skin test because of mild suppression of the immune system. Q: I have patients who claim to remember receiving MMR vaccine but have no written record, or whose parents report the patient has been vaccinated. Should I accept this as evidence of vaccination? A: No. Self-reported doses and history of vaccination provided by a parent or other caregiver are not considered to be valid. You should only accept a written, dated record as evidence of vaccination. True or False: It’s ok to give a vaccine that is not licensed for a specific dose in a series because it has all the same antigens, if I just don’t have the correct vaccine in stock. Review charts for patients that will be coming in and getting vaccines over the next 4-6 weeks and base your vaccine order on that review. If you are a smaller practice and do not want to order an entire box for one dose of vaccine, call around to other providers in your area to see if they have doses that can be transferred to you. Call the Maine Immunization Program, or check the Vaccines Available list on the ImmPact home page, to see if there are any providers looking to transfer specific vaccines. Remember, if you have any questions about which vaccine to use, please call the Maine Immunization Program’s Education Line at: 207-287-9927. According to the U.S. CDC's National Immunization Survey only 39.1% of teens who were age 16 or 17 had received the recommended second dose of meningococcal conjugate vaccine (known as MenACWY or MCV4). This important booster is recommended at age 16 to boost waning immunity. In addition, a relatively new vaccine against meningococcal serogroup B disease is recommended at age 16. Check out MCV4: You’re Not Done If You Give Just One; Give 2 Doses to Strengthen Protection. This website was developed by the Immunization Action Coalition, in collaboration with Sanofi Pasteur. The title features MCV4, but this page is filled with free tools to help providers increase rates for ALL recommended adolescent vaccines, not just MCV4. Items found on the site include the Top 10 Ways to Improve Adolescent Immunization Rates, an educational handout for 16-year-olds, slide sets, Q&As, and other useful tools. Some children 6 months through 8 years of age require two doses of influenza vaccine if they're getting vaccinated for the first time. Those who have only previously received one dose of vaccine should get two doses of vaccine this season. All children who have previously received two doses of vaccine (at any time) only need one dose of vaccine this season. The second dose should be given at least 28 days after the first dose. The first dose “primes” the immune system; the second dose provides immune protection. Children who only get one dose, but need two doses, may have reduced or no protection from a single dose of flu vaccine.